Create your own legend in North Dakota. 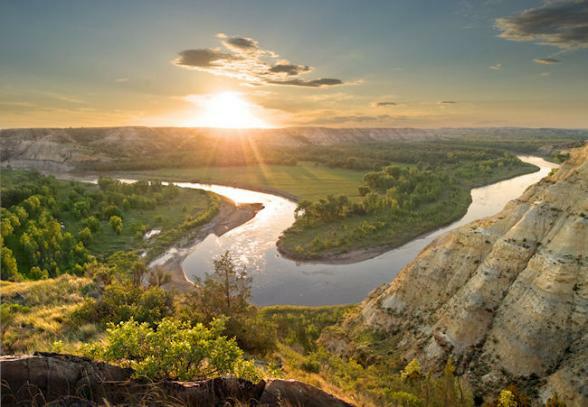 The state’s National Parks, historic sites, museums and galleries are bursting with history and inspiring things to do, and with an abundance of outdoor activities, wildlife and colourful events, North Dakota has it all. 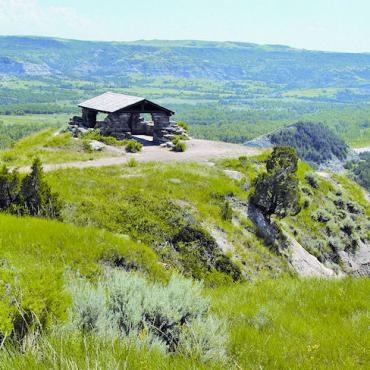 To the west, the rugged, untamed landscape of Theodore Roosevelt National Park unfolds across more than 70,000 acres and three different units; the North, South and Elkhorn Ranch Units. 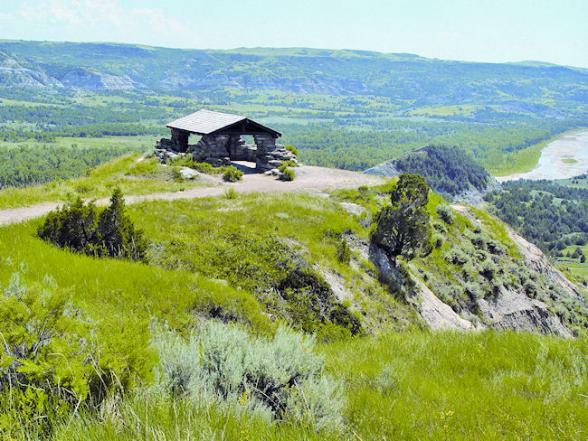 President Theodore Roosevelt’s love for the American West was born here and today outdoor enthusiasts share his passion. 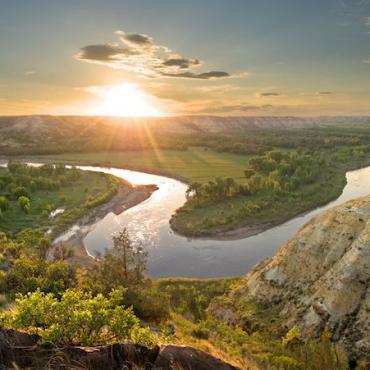 Drive the 36-mile Scenic Loop to admire North Dakota’s Badlands and view the wildlife from one of the many pullouts along the way. In Medora, the gateway to Theodore Roosevelt National Park, take in the Medora Musical with a western-style ‘Pitchfork Steak Fondue’ beforehand. 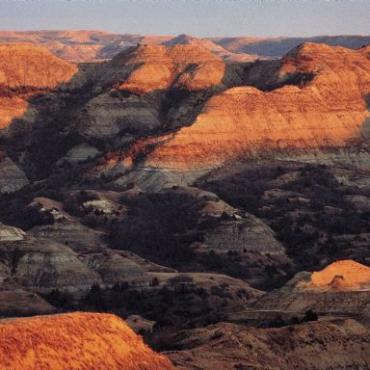 The nightly Broadway-style western show is held throughout the summer months in a outdoor amphitheater with breathtaking views of the Badlands as the backdrop. If you’re after a touch of adventure, ride a horse, a bike or take a hike on the Maah Daah Hey Trail. This 97 mile trail has been deemed an epic ride and parts of it will challenge some of the most skilled while offering outstanding views of North Dakota’s Badlands. 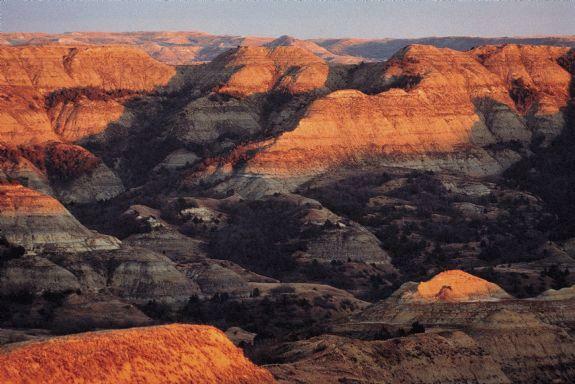 To the east of Medora, branch off along the ‘Enchanted Highway’ which is lined with giant metal sculptures including ‘The World’s Largest Tin Family’, ‘Pheasants on the Prairie’, Grasshoppers in the Field’ and ‘Geese in Flight’. The International Peace Garden, on the border between Canada and the United States, allows you to roam between the two countries. A colourful 2,300 acre botanical garden with 150,000 flowers and cactus exhibit with 5,000 plants, it commemorates peace between the US and Canada and also features a 9/11 Memorial, Peace Chapel and Game Warden Museum. Step back in time at the Custer House in Fort Abraham Lincoln State Park just outside Bismark. This is where General Custer gathered his troops and began is journey to Montana to fight the Sioux and Cheyenne Indians at the Battle of Little Bighorn, where he eventually made his last stand and lost his life. Or dig for dinosaurs at one of the many paleontological sites – The Dakota Dinosaur Museum in Dickinson, the Pioneer Regional Trails Museum of Bowman and the North Dakota Heritage Center in Bismark all bring dinosaurs to life.